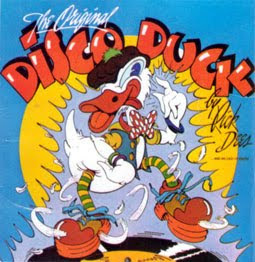 The song that got stuck in my head today: that "Disco Duck" song from the 70s....oh yay! XM was on the 70s channel on the drive to school this morning and when the Dracenator heard the quacking at the beginning of the song he cranked it right up. I remember doing the same thing when I was a kid and that song was popular and quack, quack, quacking along...doesn't seem to have the same effect on me now that I'm approaching 40, well not QUITE approaching 40...39, I'm approaching 39. That sounds much better. 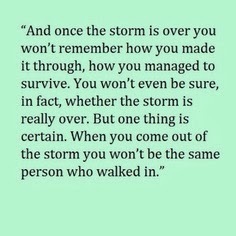 Must be denial. So yesterday after the big hair appointment, I couldn't resist stopping by Belk to check out the new Spring things. I have been contemplating buying one of those long flowing Bohemian looking peasant skirts for some time but was unsure if it would flatter my body type. I finally said the heck with it and bought one anyway. It's black with a cool floral print and makes me feel a bit hippyish and very likely makes my bottom appear even larger than it actually is but I was feeling exceptionally confident...Ladies, you know that little confidence booster we all get after having our color touched up and our hair all blown out and styled?... Well, that's probably what I had goin' on but I still like the looks of the skirt hanging in the closet so I haven't been hit with the buyer's remorse just yet...I'll keep ya posted on that. Tonight is Lost and American Idol. I am probably the last known being on the planet who does not have Tivo or DVR so at 9:00, I'll be frantically flipping the channels back and forth between the two shows trying not to miss any key performances on Idol and to get FOUND on Lost which I have yet to do in all the years I've been faithfully watching that show. They're promising explanations and answers to all our questions on this last season but I'm having my doubts cause the whole parallel universes thing that they seem to have going on right now is putting me a little out of my comfort zone by making me think just way too deeply while simultaneously watching Idol. My top picks on Idol right now, though they are all so talented, are Crystal Bowersox, Casey James, Lee Dewyze and that little quirky girl, Siobhan Magnus, who makes me think of the B-52s every time I see her. That girl can SING! Crystal Bowersox is awesome and I would love to hear her sing some Janis Joplin but the girl is not looking well to me and I'm kinda worried about her. There was the whole thing about her being in the hospital and some concern about her being able to perform a couple of weeks ago but I never heard what was wrong with her...does anyone know? I'm still not happy that that feather earring wearing blond girl ,Lily Scott and the shy kid with the mullet, Alex Lambert, went home last week. I guess that means I should vote, huh?